Abstract: The clay mineral distribution patterns in three stratigraphically well-defined piston cores containing the uppermost five sapropel sequences (70,000 years BP to the present) in the southeastern Mediterranean Sea have been studied. The temporal variations and spatial distribution of the sum of smectite plus kaolinite, the dominant clay minerals of the Nile River, can be closely related to enhanced suspended sediment transport by the Nile that occurred mostly during the transition phases from an arid to a moist paleoclimatic episode. The most pronounced input of Nilotic provenance clay occurs within and between the sapropel layers S-5 and S-4. Between circa 70,000 and 45,000 years BP this time interval marks the transition phase from the cold-arid early Würmian period to the very wet middle Würmian phase that affected the Nile drainage system and probably caused the activation of numerous wadi systems. The other most intense similar phase occurred after 12,500 years BP as manifested by the concomitant increase of hemipelagic sedimentation, due to the extensive Nile flooding and the resulting dramatic increase in suspensite delivery, leading to a pronounced increase of the Nile clay assemblages within the S-1. Major sea-level fluctuations, such as the regression at 18,000 years BP, had a pronounced effect on clay mineralogy leading to a marked increase in the deposition of illite micas plus mixed layered clays reflecting intensification of shelf erosion. 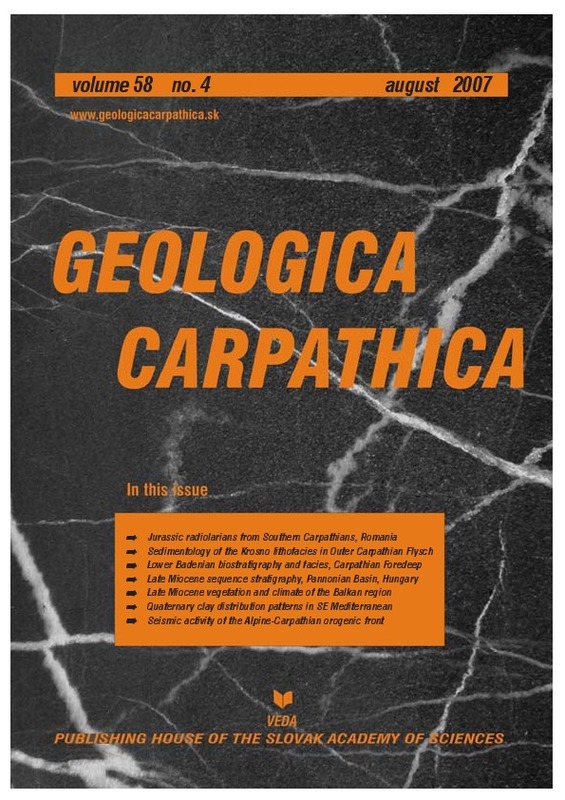 Late Miocene sequence stratigraphy of the Pannonian Basin fill (Kiskunhalas–Melykut region, Hungary): how core, electric log and seismic data fit together?